If you have a skin problem and go to a conventional dermatologist, you’re likely to get a diagnosis and a prescription for medication that in actuality may only help keep your symptoms in check. A different approach: In the world of holistic dermatology—where treatment is all about finding the root cause of a problem rather than just controlling the symptoms—the skin serves as a window to what’s happening deep inside the body. In healthy people, the inside of the small intestine has a cellular barrier that prevents incompletely digested food molecules and toxins from crossing through to the bloodstream. In a condition known as “leaky gut,” the cellular bonds holding the intestinal lining together are broken, allowing these materials to slip through, activating the immune system to cause inflammation (see below). Leaky gut is often caused by an overgrowth of yeast (frequently from a high-sugar diet)…or from specific food components like gluten, a protein found in wheat, barley and rye. In fact, 40% of gluten–sensitive patients analyzed in a study published in 2017 in World Journal of Gastroenterology cited eczema or a rash as symptoms. If you find that you’re sensitive to gluten, a gluten-free diet can give a leaky gut time to begin healing. A diet that’s low in sugars and simple carbohydrates can reduce the inflammation caused in the gut by yeast and also improve leaky gut. In addition, you should eliminate high-yeast foods such as bread (even gluten-free bread can contain yeast)…cheese…wine…and beer. • Stop the scratching. Ice cubes in a wet towel applied to eczema patches for five or 10 minutes provide a satisfying sensation that calms the instinct to itch. Helpful: The anti-itch supplement Nettle Quercetin from Eclectic Institute. • Cure infections. Cracks, crusting and open scratch marks are vulnerable to infection. For protection, take an antimicrobial herb such as olive leaf. Check with a doctor who has experience prescribing herbal medicine for advice on dosage—it varies depending on the patient. Redness, swelling, tenderness, pus and honey-colored crusting are all signs that an infection should be treated by a doctor. At this point, the organism should be cultured to determine an appropriate antibiotic to use. • Ease inflammation. Try a chamomile or chickweed anti-inflammatory ointment. • Try digestive enzymes. These supplements can improve leaky gut by reducing the size of food molecules to simple building blocks like amino acids that do not trigger a reaction. What helps: A digestive enzyme that contains dipeptidyl peptidase-4 (DPP-4). 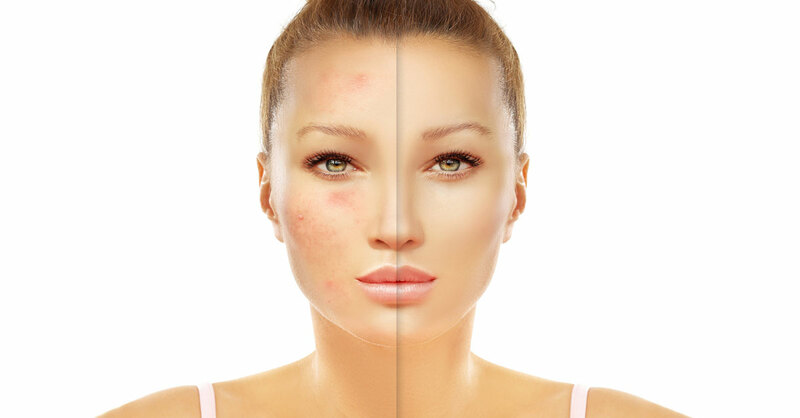 Rosacea is an inflammatory skin condition marked by facial redness, blood vessel enlargement and tiny pimples known as pustules. • Avoid problematic foods. Certain foods dilate facial capillaries. Common triggers: Spicy foods…hot liquids such as coffee…and alcohol. • Watch out for extreme weather conditions. Protect the skin from wind, cold and sun whenever possible—all can contribute to redness. • Get more vitamin C and the bioflavonoids that accompany it in fruits and vegetables. Bioflavonoids reduce capillary fragility, which often manifests as broken blood vessels or easy bruising. Eat vitamin C–rich foods such as kale, spinach and broccoli (citrus fruit can aggravate rosacea)…or take a vitamin C supplement (500 mg twice daily). • Control your emotions. 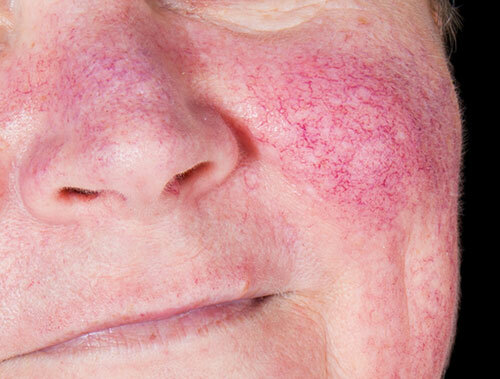 Anger, anxiety and embarrassment can cause blood to rush to the face, intensifying rosacea. What helps: Deep breathing and meditation. This white and red scaling of the scalp, forehead, eyebrows or chest is caused by an inflammatory immune reaction to a specific type of yeast (called Malassezia) that normally lives on the skin. Even though antidandruff shampoos containing ketoconazole (Nizoral), selenium sulfide (Selsun Blue) or pyrithione zinc (Head & Shoulders) are designed to kill Malassezia yeast, they won’t fix dandruff at its root cause. • Reduce yeast. With dandruff, it’s crucial to cut sugar, use probiotics and take an antiyeast supplement such as caprylic acid. • Get the right oils. Omega-3 fatty acids calm inflammation. Try eating two servings of cold-water fish, such as wild salmon, a week. Use cold-pressed, organic olive oil or safflower oil, and avoid oils heated to a high temperature. Helpful: Supplementation with vitamin E as well as vitamin C, B-complex, zinc and magnesium will help the body keep inflammation-fighting oils in their more usable forms. Even though chronic inflammation is widely known to fuel health problems ranging from heart disease and diabetes to cancer and rheumatoid arthritis, it also plays a crucial role in skin conditions. Here’s what happens: When the immune system becomes triggered—due to a variety of causes (see above)—it can attack cells, tissues or organs, as well as the skin, showing up as inflammation. That’s why if you have a skin problem such as eczema, rosacea or seborrheic dermatitis (better known as dandruff), it’s likely signaling a problem elsewhere in the body. *To find a holistic practitioner near you, consult the American Holistic Health Association, AHHA.org.